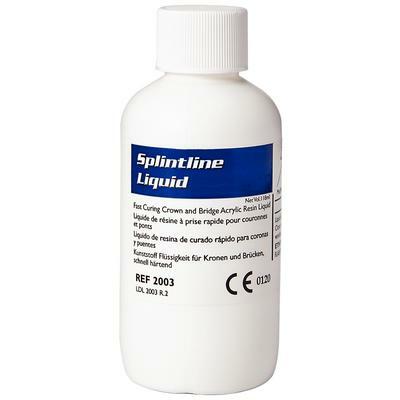 Splintline® Acrylic is a fast self-curing temporary crown and bridge copolymer acrylic resin. It is designed for use when marginal accuracy is critical. The copolymer formula produces an accurate temporary crown or bridge for short-term use. Splintline® Acrylic is highly cross-linked, providing great durability and color stability.